All Warranties begin on the date the assembly is delivered to the original owner. Engines used for racing, either sanctioned or not have no warranty. period to Coyote Engine Rebuilders staff call 214.952.2366 to arrange pickup. This warranty is only good if complete serviced assembly is returned within the warranty period and damage to engine is determined to not have been caused by overheating, neglect of maintenance, or abuse by customer. For the first 90 days, labor costs for repairs made in other ASE Certified service facilities will be reimbursed at a rate of $25.00 per hour up to a maximum of $100.00. To qualify, customers must contact us prior to service, after service is completed provide an original invoice with all accompaning information listing detailed repairs made and parts used. 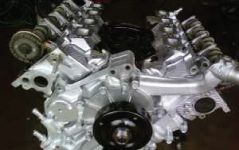 Labor warranty is 100% if complete assembly is returned for repair within the warranty period to Coyote Engine Rebuilders staff at their facility call 214.952.2366 to arrange pickup. This warranty is only good if complete serviced assembly is returned within the warranty period and damage to engine is determined to not have been caused by overheating, neglect of maintenance, or abuse by customer. Items listed below are only used as a guide. This list does not limit the items of inspection. •Heat Tabs must be the original one installed by Coyote Engine Rebuilders and fully entact. 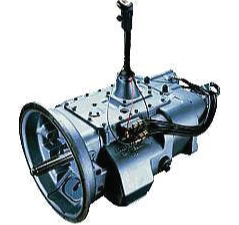 •Valve warpage due to overheating or air/fuel ratio problems. •The oil and oil filter present during the failure must be installed on the engine for analysis. 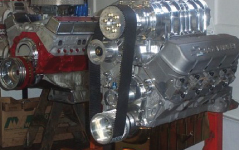 •Intake and exhaust manifolds should be installed for inspection. •Mileage of the vehicle at time of failure. May be verified by Coyote Engine Rebuilders associate. •Any wear component that is directly related to the operation of the engine. Obligations of customer for warranty effectiveness. •Engine oil replacement after first 500 miles and every 3000 miles thereafter. oil changes which were performed by a commercial repair facility. •The customer is responsible for checking engine oil level/condition, coolant level/condition, warning indicators, and gauges to ensure proper engine operation. •Damage as a result of abuse from competition, racing, or usage other than the product’s original design. •A malfunctioning or disconnected odometer will void the warranty. •Damage resulting from ignition, fuel system, emissions, transmission, or induction malfunctions.